The Gables is a boutique venue offering a home-from-home yet high end hospitality experience for corporate clients and local and international guests in Sandhurst, Johannesburg. Set in an authentically and meticulously constructed Cape Dutch home, we’re continuing that family legacy with the same care and attention to detail in our service. Five minutes from Sandton's Gautrain Station, we offer business rooms for off site sessions, a luxury BnB suite for couples or executives and spaces for small events (wedding receptions, birthdays and other lifestyle functions). 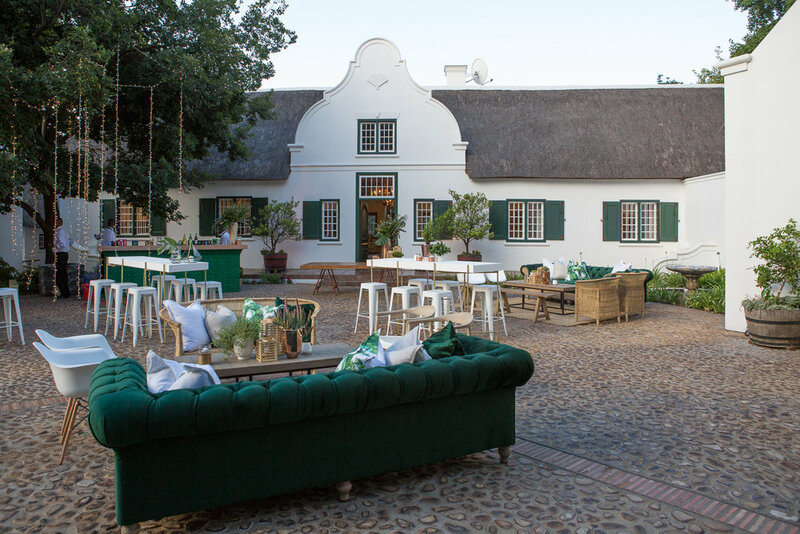 Step into our large garden and experience a touch of the Cape - a beautiful and relaxing setting for boutique events, tourist groups, photo shoots and small brand launches. Number 23 Killarney Road, an old Sandhurst farmhouse, was purchased in 1987. Years of detailed research went into its reconstruction. Step inside, feel transported to a 17th century Western Cape homestead but sense too that this was a warm family home. Old yellowwood beams and flooring, Batavian floor tiles, traditional brass fittings and metal work were all sourced or commissioned to make the house as authentically Cape Dutch as possible. Now The Gables boasts a large and private luxury B&B Suite, a range of beautiful spaces for hire, a cafe with gift corner featuring the work of local artists. The Gables now offers a range of venues for hire. Book our Business Lounge for executive off-site meetings, The Barn for a corporate dinner, or Hand Brew Cafe for a day time gathering.